It’s cold, the ground is frozen and snow is still resting in shaded nooks in the garden. Yet, with all Mother Nature has sent our way the last few weeks, Hellebores are looking quite fine in the garden. Perhaps one of the most indispensable shade gardening plants, Hellebores have the lovely ability to look good virtually all year long. When their flowers, sometimes a bit tricky to see when not on bended knee, emerge in the early spring, gardeners breathe a sigh of relief. The arrival of Hellebore flowers means spring is certainly on its way. In the summer, the Hellebores’ thick foliage remains clean and tidy and remains so into fall and winter. 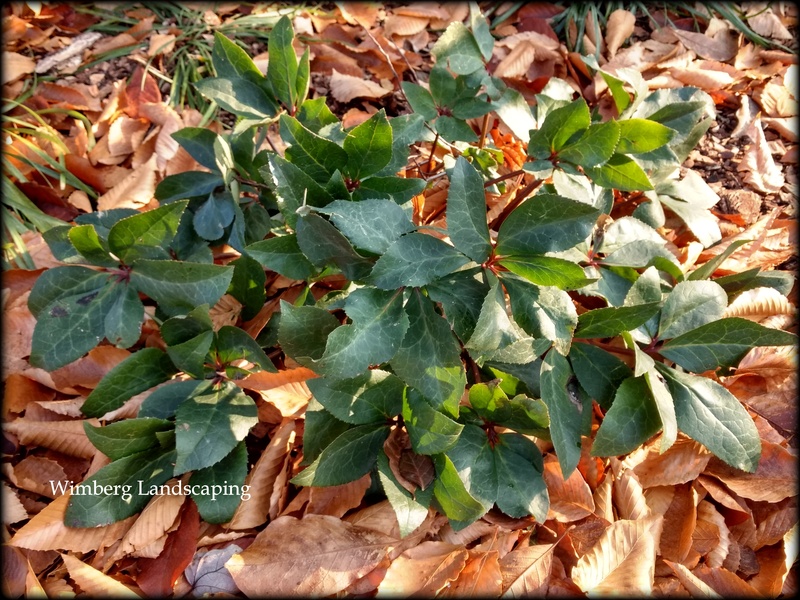 The same thick foliage, sometimes featuring exaggerate serration around the margins, stands up in the fall leaf litter and snow as if nothing has happened and it’s still summer in the gardens. We say it often, strive for more plants than mulch in your gardens. If you have a large shade garden and want a bit of uniformity in areas without relying on mulch, try Hellebores. A mass planting or a gently curve band will cover a lot of garden space, add year-round foliage to the garden and they’re very easy to care for. The flower variety is quite enticing, too. Should you become a collector of Hellebores, you will not run out of must-have varieties to add to your collection. We like them paired with Hakonechloa, Hypericum calycinum and of course hostas and ferns.